If you’re looking for inspiration this Mother’s Day, look no further! It's almost always that mom has the strongest and the quietest influence on us. She balances so many roles and she does it all with a smile. And though we feel it in our hearts, but sometimes leave our appreciation unsaid. 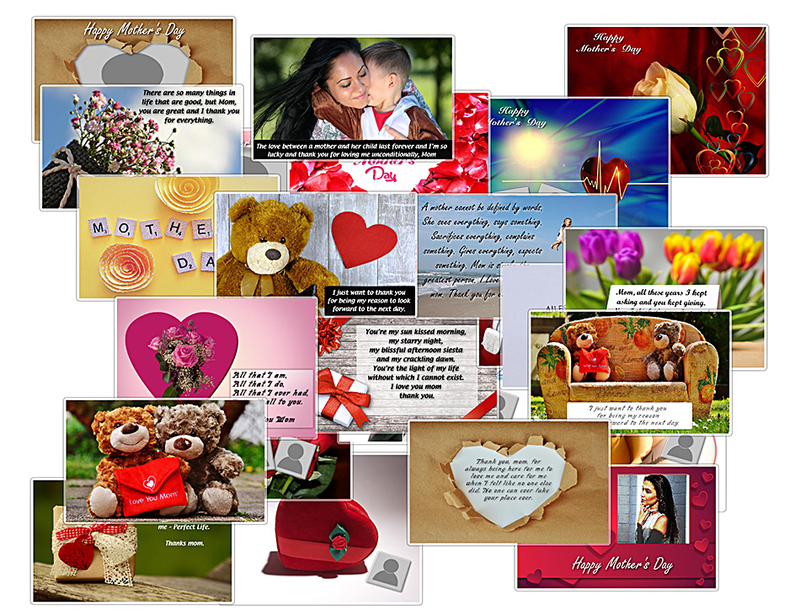 Mother's Day is the perfect time to show her your love and make her feel special with our warm Mother's Day cards for jalada Collage 2018. Send a card to the special women in your life (whether they are mothers or not) to thank them for all the ways they have mothered so many with their words and their lives. Use one of this nice templates and add a photo from your mom. Make it individual with 1.4 Millionen accessories including images, vector graphics and illustrations. High resolution templates for Mother's Day to surprise your mom. Click on the images to see them in detail. Our vibrant, colorful printable Mother's Day cards are the perfect way to say "Happy Mother's Day" to your mom or any mom. Perfect for all the moms in your life to celebrate their special day. Whether you are a daughter, son, husband, or friend...find the perfect card that you can simply print from home. Print funny Mother’s Day greetings, religious Mother's Day sentiments, or Mother’s Day wishes for Grandma. 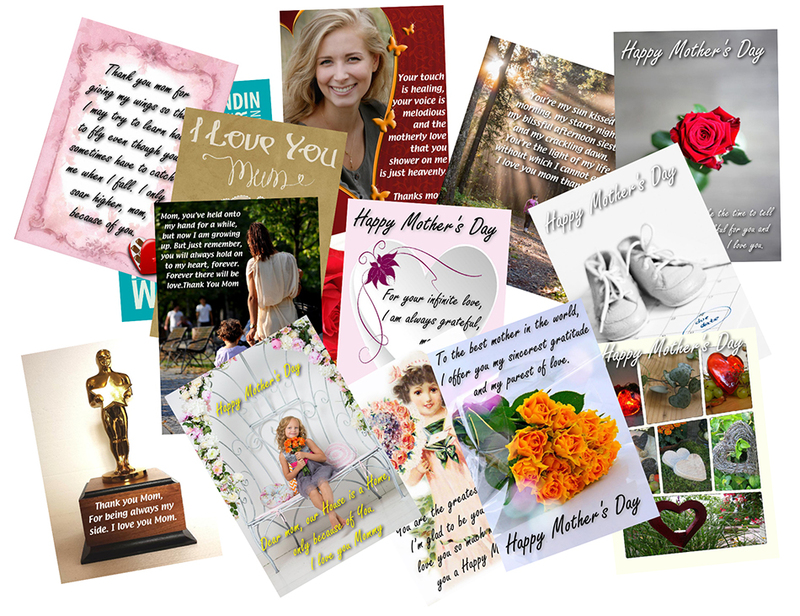 Buy jalada Collage 2018 for free printable Mother’s Day cards, personalize them and make any mom's day.